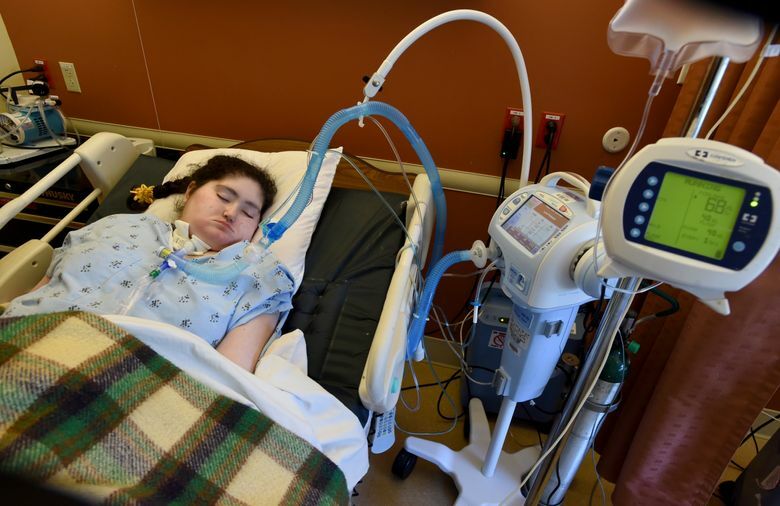 Experts say there is an increase in the number of families fighting brain-death diagnoses since an Oakland, Calif., family won the legal right to move their daughter to a facility in New Jersey, where she now resides on a feeding tube and ventilator. SAN FRANCISCO — Attorney Chris Dolan got a familiar phone call this past month. It was from a Vacaville, Calif., family who said their 2-year-old son was declared brain-dead. They planned to fight the diagnosis and wanted the San Francisco lawyer’s help. Since taking on the case of Jahi McMath, an Oakland, Calif., teen declared brain-dead in 2013 after complications from tonsil surgery, Dolan has became an unlikely leader in a growing resistance to the medical establishment’s long-standing determination that the loss of brain activity equals death. Experts say there is a small but noticeable increase in the number of families fighting brain-death diagnoses since Jahi’s family won the legal right to remove their daughter from UCSF Benioff Children’s Hospital Oakland so she could be taken to a facility in New Jersey, where she now resides on a feeding tube and ventilator. “I’m getting calls from people who have a strong feeling that the doctors can’t be trusted and may be seeking to cover something up or put an end to it,” Dolan said this week. Thaddeus Pope, law professor at Mitchell Hamline School of Law in Minnesota, has seen a rise in what he calls brain-death “conflicts.” After Jahi’s case, two families rejected a brain-death diagnosis at San Francisco General Hospital, citing her case, he said. Dolan, an attorney who specializes in personal-injury cases, said he has worked on seven cases, including some that families do not want publicized. He was contacted by the Orange County family of Lisa Avila, a mother of seven who was declared brain-dead and taken off her ventilator in March 2015. Also last year, Mohammad Meshkin reached out to Dolan about his daughter, Anahita Meshkin, who had been in a coma for eight years before being declared brain-dead. The California father asked Dolan for help last year, and the attorney helped craft a temporary restraining order to prevent the hospital from removing Anahita from life support. A Contra Costa Superior Court judge ordered two University of California, San Francisco neurologists to test the woman May 4, 2015, and both agreed that she was not brain-dead, a difference of opinion that is rare in most of these types of cases. Dolan gives families his blueprint for filing restraining orders against hospitals, employing the same road map he used in the Jahi case. Unlike a coma, brain death is the loss of all brain function, an irreversible and nationally accepted form of death. Generally, two physicians perform independent tests to see if a patient reacts to stimuli that would indicate some brainstem function, before removing a ventilator to see if the patient attempts to breathe on his or her own. Experts say a ventilator can keep a heart beating, and a person declared brain-dead can appear lifelike, but there is no chance the person will ever regain brain activity. In most cases, the patient’s family accepts the diagnosis and is given time according to state law to say goodbye. In a recent case, doctors at Kaiser Permanente Roseville Medical Center in California declared 2-year-old Israel Stinson brain-dead when he went into cardiac arrest after an asthma attack, according to court records. His parents, Jonee Fonseca and Nathaniel Stinson, have filed a federal lawsuit seeking to keep the toddler hooked up to a ventilator, which is still being fought in court. The family’s attorney said they did not want to comment on the case. “We believe we should have the last say, not a government building or not a corporation. We believe our son is still alive. That should be our choice,” Stinson said in an online video asking for a hospital to admit their son. Similar to Jahi’s case, the family wants to move Israel to another state, presumably New Jersey, the only state where the law allows families to reject brain death on religious grounds. Their attorney, Kevin Snider, said the family has already secured transportation to another state if a hospital will take the child. Meanwhile, more than two years after she was declared brain-dead, Jahi remains in a New Jersey apartment, where she is under the care of a nurse and her mother, Nailah Winkfield. Dolan frequently shares Winkfield’s story with the families who call him.